Foreseeing a choice and then making it is not the cruelty of fate in action, but a powerful exercise in free will. 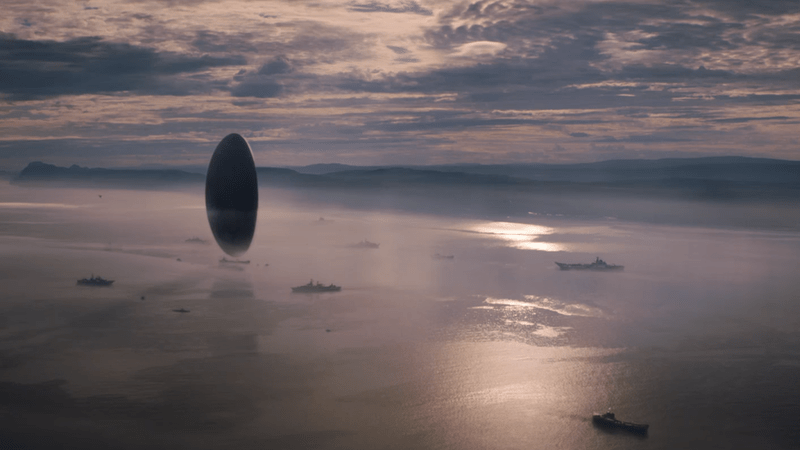 This is why you should watch the film Arrival: the film visually dissects intelligently people transcending barriers to connect to a new culture, a foreign alien one. How do these aliens communicate? What is their language? Interestingly, in the aliens’ world time does not have a direction. It illustrates a culture in many layers. For some of you who would like to dig deeper into concepts of circular language , please click the links, for others the trailer might be of service as well. The film Arrival opens as Dr. Louise Banks (Amy Adams) struggles with the death of her teenage daughter, trying to find solace in her daily routine. Banks’ daughter, Hannah, has died of a rare illness. “There are days that define the story of your life, ” Banks says at the film’s downbeat beginning. This process is suddenly interrupted when 12 shells appear on Earth and the U.S. military comes asking for her help. It turns out they’ve been able to establish some minimal contact with the alien creatures in the shells, but their language is unlike anything known to man. Arrival is a versatile, science fiction film that communicates on many levels. It’s about language and cooperation, about people transcending barriers and immersing themselves in a new culture to understand a foreign race. The aliens arrive in 12 terrifying monolithic space ships, known as heptapods, because of their seven-legged, giant squid appearance. However, they are peaceful and want to help humanity because their own non-linear perception of time tells them they’ll need our help thousands of years from now. Louise’s journey into how the heptapods’ minds work: how the aliens communicate and what that says about how they perceive reality. The aliens of Arrival make incomprehensible groaning noises. In an attempt to communicate with the aliens, Dr. Louise Banks, learns that their written language is circular and that it doesn’t seem to progress from cause to effect. To the aliens, time does not have a direction. This is not so odd: On Earth, some cultures conceive of time differently from other people. Chinese-speakers tend to think of time running from top to bottom, as opposed to English-speakers, who think of time running left to right. To point out that something happened in the past Chinese -speakers point in front of them – because it is visible now; by contrary the future is at their backs – unknown and therefor unseen. This is in contrast to English speakers. This is our introduction to the Sapir-Whorf hypothesis, which claims that language shapes the way we think. In the 1940s, Edward Sapir and Benjamin Whorf proposed that the structure of a language determines, or at least influences, how we perceive and experience the world. The theory has been controversial, but there is now some support for it. The movie takes this idea and runs with it. If you learn a new language, your brain gets rewired, we are told. Sure, this happens — especially in bilingual speakers switching between languages. In “Arrival,” we see Banks’s brain getting rewired to an absurd extreme. There may be some evidence for this selective power of language in putty-nosed monkeys. These are social monkeys that live in Nigeria and have two simple warning calls: A “pyow” means there is a leopard coming, and a “hack” means there is an eagle. But if you put the two together, it means “Let’s move along.” It’s very simple to be sure, but language requires different meanings to be constructed from common syllables, a skill that the monkeys have mastered. It’s a film that dares us to look ahead, to open ourselves up to vulnerability and sacrifice, and to take chances and engage with the world around us, no matter what dire consequences we fear may be just around the corner. A film that transcends genre, or even medium. It is simply art, and at a time when so many seem intent on walling themselves off, or their countries, it’s exactly what we need. It’s based on a short novella by one of the greatest living science fiction authors. You probably haven’t heard of Ted Chiang, and that’s a shame. The author of the 1998 short story Story of Your Life, which Arrival is based on, is relatively unknown outside of the science fiction community. Chiang limits the scope of Story of Your Life to a reflection on personal choice. He says: Foreseeing a choice and then making it is not the cruelty of fate in action, but a powerful exercise in free will. Hannah’s name is a palindrome, so it reads the same forward and backward. Curious to learn about your take on this film!